Marinate meat for 2 hours. Serve on tortilla shell with sautéed onions and peppers, sour cream, guacamole, shredded cheese, and whatever else fits your fancy. 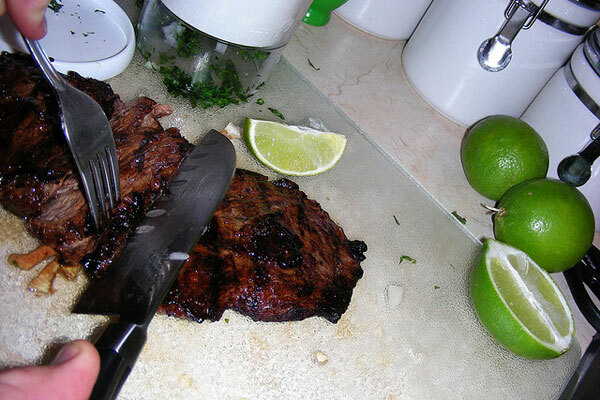 I suggested using the cilantro lime marinade, then topping with the cheese and maybe some strips of chiles.